Anima Donkor knew she was in trouble when she had french fries for the first time in the U.S. and didn’t taste any spice. Before she came to the U.S. almost four years ago, Donkor, a graduate student studying media arts and studies from Kumasi, Ghana, watched a lot of American movies and television shows like American Pie and 2 Broke Girls that gave her an idea of what Americans ate. Cheesesteaks crossed her mind as a common American food. International students, like Donkor, had specific perceptions of what American food was like before coming to the U.S., but after living in the country for a while, they have become more positive in their love or distaste for stereotypical American dishes. As a vegetarian and someone who does not eat a lot of dairy, she is not the biggest fan of American food. If a restaurant takes out the dairy and adds spice, then “voila!” she said. But not all of the international students on campus hold the same opinion. Abdul Malik Al Jabri eats at Union Street Diner, 70 W. Union St., two or three times a week. He either orders the steak Philly sandwich or the Philly steak omelet. “It’s my best place,” Al Jabri, a sophomore studying engineering from Muscat, Oman, said. 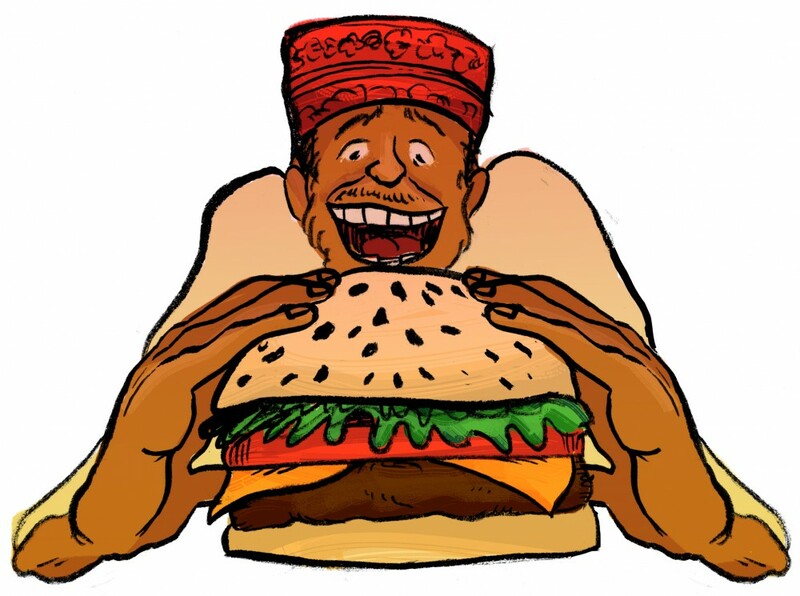 Al Jabri said he had the idea that everything was fast food in the U.S., like McDonald’s and Burger King. Although Al Jabri thinks the food in the U.S. consists mostly of fast food, many restaurants offer higher quality dishes than the typical fast food chain. For example, he loves the way steak is cooked. In Muscat, people tend to put a lot of spices on the meat, changing its flavor. What Al Jabri hates the most about American food is the need to put pork on everything. As a Muslim who does not eat pork, he finds that restaurants make mistakes and put pork on his meals after he has asked to remove it. For some, American dining is an acquired taste. In Kumasi, Ghana, Joshua Okyere had no idea what a burger tasted like, but now it’s a staple in his diet. Okyere, a graduate student studying African studies, initially had trouble acclimating to the American diet. In fact, the restaurants on Court Street did little to satiate his hunger. He felt disconnected to the food. “But as I stayed here for some time, I tried some of the ones that I didn’t know how to eat,” Okyere said. Now, Okyere often finds himself in the long lines in front of the counter at Wendy’s ordering an American classic: the burger.